The one I decided to go with is Weddingwire and I love it! Okay so let me admit if I haven’t previously done so my FI is a software engineer so he could easily set up a site write the code and make it fabulous but since work is keeping him so busy lately I had to do it myself. I love our wedding website because it keeps be very organized. Just to let you guys know he is actually very impressed with the tools that you are able to use. Since I got the thumps up from my FI it made me very happy. 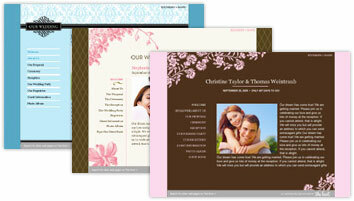 Are you using a wedding website? If so which one? 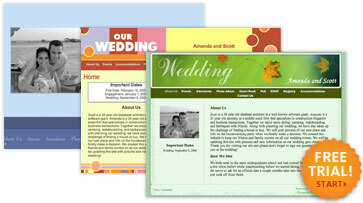 We're using weddingwire too. I love my website (and spent far too long on it)! I don't know which one we'll be using yet! It's nice to know there are so many options though! If found you via wedding bee. Do you live in Long Beach? Hi Newlywed Next Door,I do live in Long Beach. I wish I would have run into all this websites long before, I'm designing and coding mine but every time I run into a new feature I want it!! I love your engagement pictures. Too cute. ← "The camera can photograph thought."